IF YOU LOOK UP the definition of political opportunism, don’t be surprised if the name Leona Alleslev comes up. 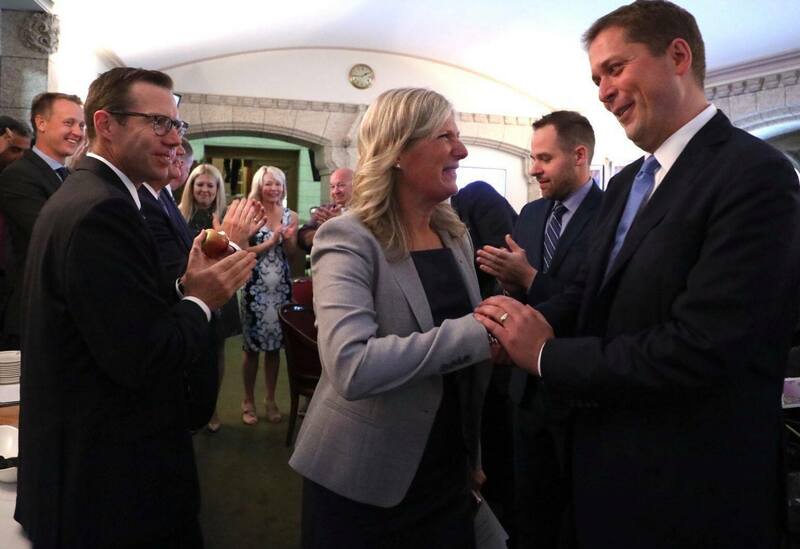 She’s the Liberal MP who — perhaps frustrated about her lack of advancement within the party — crossed the floor to join the Conservatives. Nobody had ever heard of her before her floor-crossing stunt. Grandly declaring that her oath is to country, not party, she blasted the Liberal government on its handling of the economy and foreign affairs. But Alleslev only recently reassured everyone of her loyalty to the federal Liberals and Justin Trudeau. So, did she suddenly discover she’s really a Conservative at heart? We can be forgiven for suspecting that this unimpressive backbench government MP — who lost her job as a Parliamentary Secretary last year — saw greener grass on the other side of the floor, where she might stand a better chance of re-election in her Ontario riding if she runs as a Conservative. In the 2015 federal election, she won by less than 1,100 votes and it’s regarded as a swing riding. So, with a combination of bruised ego and practical politics, she opted for self-preservation. It always sounds better, of course, if you couch such decisions in the lingo of political principle instead of personal aspirations. Some people think MPs who want to swap parties should have to go back to the voters in a by-election. The argument for this is convincing — constituencies choose their representative based on membership in a particular party, and the thinking goes that voters should have to give their permission if an MP wants to change the game part way through a term. And, let’s face it, MPs are elected mostly based on their party and the party leader. Bur Kamloops-Thompson-Cariboo MP Cathy McLeod, whose party benefits from Alleslev’s defection, thinks things should be left as they are, and I agree. Alleslev will face the voters soon enough, anyway, and will be sent packing back to civilian life. Well if you can’t make it as a Parliamentary Secretary- in a government dedicated to Feminism, and being a female MLA….ya the losers across the floor will take you…And I agree to leave the system as is. But for different reasons. This would be the last line of defence against any “trump” like leaders. And no we don’t have one of those, no matter what the cons will say.